Jon Anderson has been saying for years that he wished to return to creating what he calls “Yes Music” — the long-form, epic style of progressive rock epitomized by that band on such albums as “Close to the Edge,” “Tales From Topographic Oceans” and “Relayer” in the 1970s. In retrospect, 2011’s “Open” — a 21-minute song Anderson wrote with guitarist/arranger Stefan Podell that was only released digitally — seems to have been a way for the Yes founder and former lead singer to get his feet wet again. For the full-album “Invention of Knowledge,” Flower Kings guitarist/vocalist Roine Stolt was enlisted to help “open the book” on compositions written a decade ago during a frenzy of online collaboration initiated by Anderson with songwriters from around the globe. Anderson provides the album’s lead vocals and lyrics; Stolt handles guitars, arrangements and a few background vocals. The process of “rejuvenating” the songs included sending MP3s back and forth between California (Anderson’s home) and Sweden (Stolt’s) via the information superhighway. When the demos were finished to the pair’s satisfaction, Stolt and members of the Flower Kings and Karmakanic — along with keyboardist Tom Brislin — recorded the backing tracks in Sweden. “All basic music arrangements (had already been) laid out,” Stolt told Good New Music by email. “I had written all chord structures, bass lines, rhythms etc. Much of my guitar parts and even a few solos were recorded already. Three of the four songs on “Invention” consist of two to three movements. 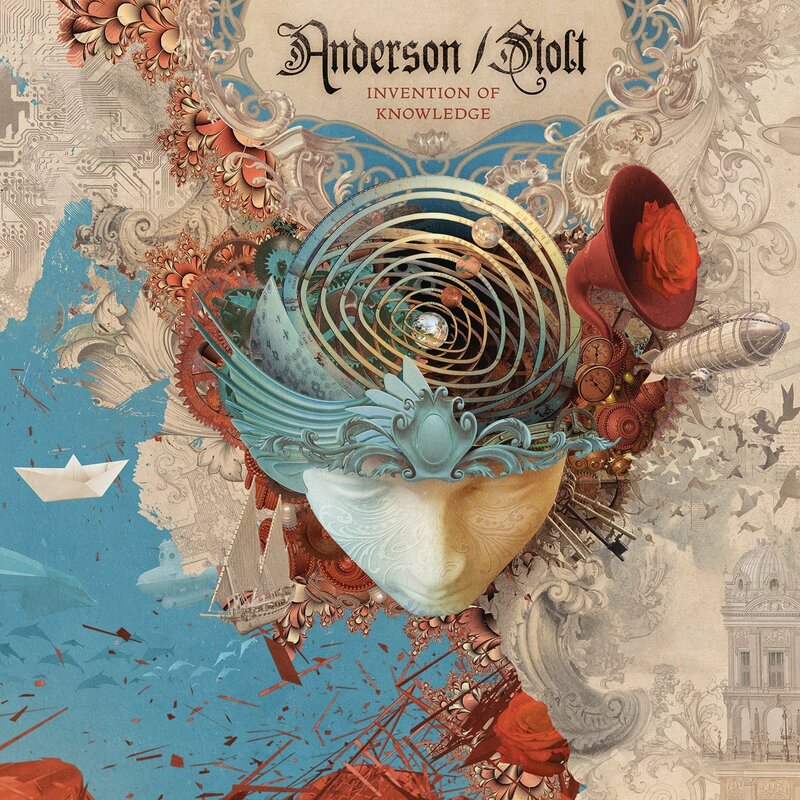 According to a Stolt interview via Skype on June 3 with That Drummer Guy, the second and fourth song (“Knowing” and “Know”) were originally a single composition that Anderson decided to split and move apart in the track listing. A look at songwriting credits for the entire album reveals that, for some of the multipart songs, individual movements were written by different sets of people — meaning that some of the writers collaborated with each other not only in absentia, but after the fact. The title track sets the tone, establishing Anderson’s voice and Stolt’s guitar as the two main instruments. Anderson’s voice sounds as good as ever, and his lyrics remain dependably mystical: The overall theme deals with ley lines; crystal streams of energy; and how man invents his understanding of the world.